Members of the Pasqua First Nation voted 97 per cent in favour of accepting a $145-million settlement with the federal government after the illegal surrender of land over 100 years ago. 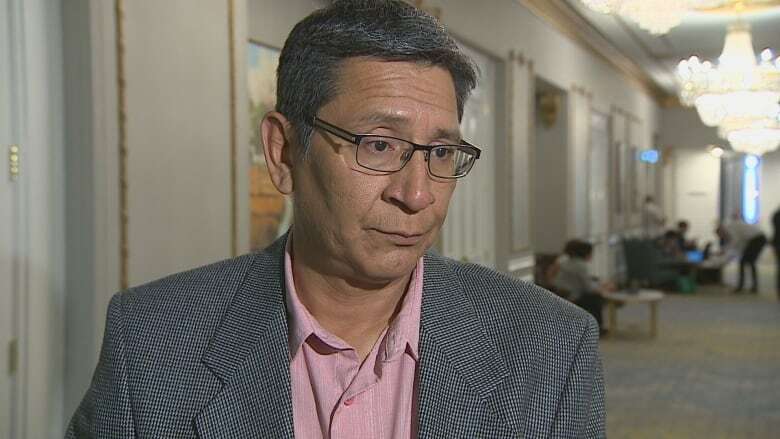 A process to right a wrong from over 100 years ago has concluded with members of the Pasqua First Nation accepting a settlement from the federal government. Chief Matthew T. Peigan said band members voted 97 per cent in favour of a $145-million settlement with the government involving 6,500 hectares (16,077 acres) of reserve land on the Qu'Appelle River, between Regina and Yorkton, which was unlawfully surrendered in 1906. He attributed the successful settlement to the work of past chiefs Lindsay Cyr and Elaine Chicoose. "It's very, very humbling," Peigan said. "I also have to give thanks to [Cyr] because the evidence and the oral testimonies that were obtained back in the '80s were a lot of influence regarding our settlement today." Peigan said the first effort to address the unlawful surrender happened in 1983, according to a press release from the First Nation. In 1987 the band filed a specific claim which was rejected by the government. The band filed another claim in 1995, which was also rejected. In 1997, the Supreme Court confirmed the Crown had pre-surrender fiduciary duty, which led to the band filing its claim with the now dissolved Indian Claims Commission. The group dissolved before the claim could be addressed. In 2013 the band resubmitted its specific claim with an updated legal argument. Three years later the government accepted the renewed claim and on June 5, 2018, it offered to settle with the band. Through a press release, Peigan said the settlement will benefit the people of Pasqua, which is about 55 kilometres northeast of Regina, today and into the future. He told CBC News the community hosted numerous membership meetings to decide how to use the settlement money. He said the band will plan on building a high school, a long-term care facility for elders and a youth shelter, which would allow the band to start bringing children in provincial care systems home. Peigan said the band will rely on the settlement's return on investment to pay down capital loans, rather than using the settlement dollars themselves. Pasqua's chief offered his thanks to the federal government for their work. "We submitted it with this Trudeau Liberal government and they approved it for negotiations, they negotiated it with us and, awesomely, they're settling it with us," Peigan said.